Memorial Day is jumping off this weekend, which makes it the unofficial kickoff to the summer. That means it’s time to get your fresh gear in check, with sneakers being at the top of the list. Heading into a holiday that commemorates our fallen troops, we decided to check out the hottest footwear to pull off the camouflage look at its finest. 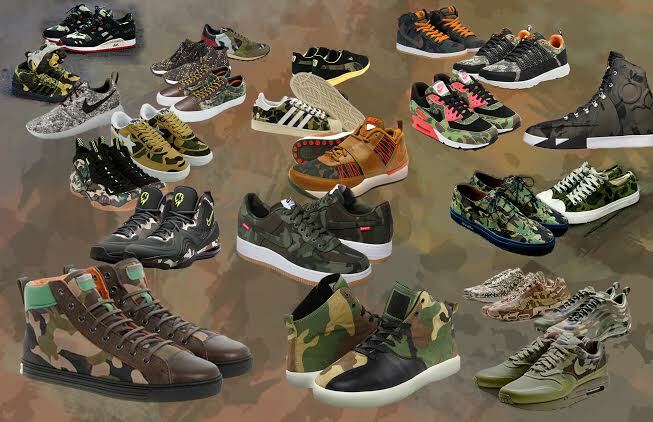 Despite camo being used as a tactic to blend in with environmental backgrounds, these sneakers have managed to stand out in the eyes of sneaker hypebeasts throughout the past several years. So in preparation for the holiday and season, allow us to put you onto the Hottest Camouflage Sneakers to Wear This Summer.